Soybean hulls are the “skin” or “shell” removed from soybeans during processing. Soybean hulls are a source of highly digestible fiber that typically contain less than 3% starch. Soybean hulls contain approximately 40% fiber and 12% crude protein, and research has shown that soybean hulls help promote fermentation in the cecum. Soybean meal is the product left after oil has been extracted from the whole soybean. Soybean meal is a high quality source of concentrated protein (41-48% crude protein), which contains essential amino acids such as lysine, methionine and threonine. It is one of the best sources of lysine, essential for growth and tissue repair. Alfalfa meal is the product of ground and dehydrated alfalfa hay. It is another concentrated source of quality protein (17-18% crude protein) that contains the amino acids lysine and methionine. Alfalfa meal is also a rich source of calcium, as well as other vitamins and minerals. Wheat middlings are very useful by-products of wheat milling, which are a good source of energy (approximately 1300-1400 kilocalories per pound, as fed), crude protein (16.5%) and fiber (10-11%). Wheat middlings are also important for the integrity of pellets, helping to ensure they stay intact through the cooking process. DDGS are a byproduct of alcohol production (ethanol or beer) and have recently come into favor in horse feeds as an excellent source of protein (average of about 30%) and energy (approximately 1200-1300 kcal per pound). Starch concentration is low, as most starch has been converted to ethanol. A maximum of 10% DDGS is recommended for equine diets – additional DDGS may cause palatability issues. Beet pulp is the fibrous material left over after all of the sugar has been extracted from sugar beets. Beet pulp itself is very low in starch and sugar content, and provides a highly digestible source of fiber for horses. Beet pulp has approximately 1100-1200 kcal per pound, as fed, and 8-9% protein. It is a good source of calcium (0.8%), but contains little other nutrients. Beet pulp is excellent for helping to maintain gut health, and providing fiber for horses with compromised dentition. Flaxseed, also known as linseed, is a source of fat, fiber and the essential omega-3 fatty acid, alphalinolenic acid (ALA). Flaxseed is high in the soluble fiber mucilage, which holds a good deal of water, and can promote healthy digestion. Whole flax seed can be fed to horses, but the nutrients are less available compared to the ground form. Flaxseed meal differs from whole or ground flaxseed in that most of the oil (fat source) has been removed. Flaxseed meal is, however, a good protein source, but is lower in essential amino acids compared to soybean meal. Iron is a micromineral (required in the diet in small amounts) that is important for transporting oxygen in the blood and muscle tissue. A horse’s dietary iron needs are usually met with typical feedstuffs. Supplementation has shown little to no benefit on overall feed intake, daily gain, red blood cell count, hemoglobin concentration and other factors in ponies. Iron deficiency is rare in horses, and is usually caused by severe blood loss. Excess iron is toxic to young animals. Coverdale, J.A., Moore, J.A., Tyler, H.D., Miller-Auwerda, P.A. 2004. Soybean hulls as an alternative feed for horses. Journal of Animal Science. 82(6):1663-8. Lewis, L. 1996. Minerals for horses. In: Feeding and care of the horse: 2nd Edition. Lippencot, Williams & Wilkins, Media, PA. pp. 19-41. National Research Council. 2007. Nutrient Requirements of Horses, 6th Edition. National Academies Press, Washington , DC. 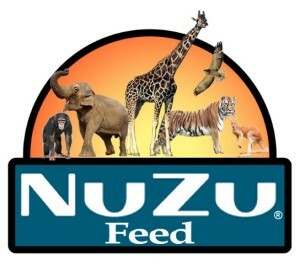 Feel good again about feeding treats with our low-carb healthy horse treats, Stabul Nuggets, in 6 great flavors! Available in taste-tested Peppermint, Banana, Fenugreek, Pina Colada, Strawberry, and even Peanut flavor! Also perfect for mixing with medications to make them more palatable. Order online today!